How might we use Object Based Media to design hyper personalized BBC experiences? 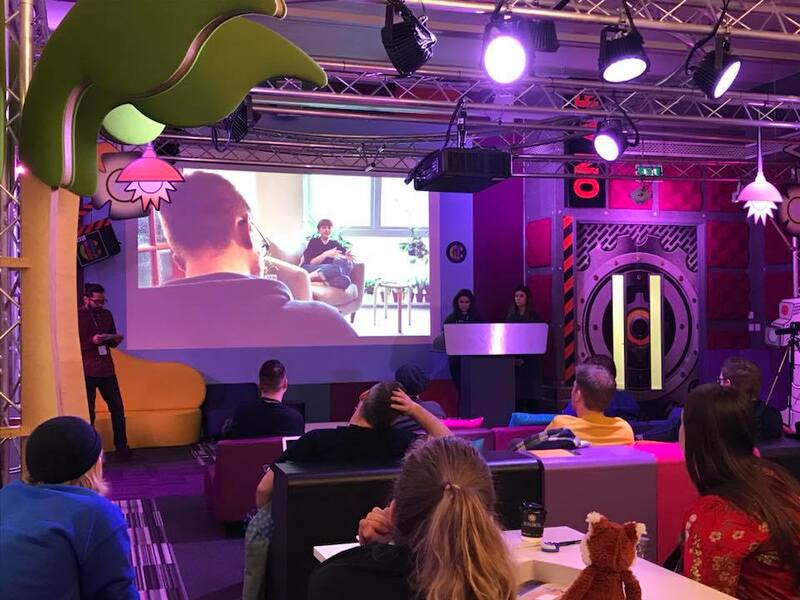 BBC's Research and Design team came to us with this challenge in order to understand more about personalized experiences for people using Object based media. Object based media can be defined as the different assets used to make a piece of content - this can include parts like audio, video, a caption, a short clip, etc. By using these bits of media and attaching meaning to them, a piece of content can be tailored to serve a specific person and their viewing habits on different devices. BBC's website describes it as: "Content that’s tailored for your circumstances, preferences and devices. Programmes that understand your viewing habits, and flex to fit. Experiences that reflect the things you love, and offer extra information just when you might need it." The goal for this brief was to present opportunity spaces for BBC to personalize an experience based on user needs. Since the purpose of our research was to understand people, we heavily relied on the Human-Centred Design Toolkit from IDEO. We began with qualitative research to help us better understand and possibly redefine the problem. The aim was to gather an in-depth understanding of the underlying reasons shaping human behavior. To help assist this process, we formulated our first research question: “What do people need and want to do in their lives?” By broadening our perspective, we hoped to identify key human needs that remained consistent over time. This would help us uncover latent needs in the way people interact with technology. Melissa discussing possible opportunity spaces. A snippet of research conducted on social behavior and the involvement of tech. Guerrilla research was an integral part of our process. The informality of its nature provided a fast and effective way to collect data. Additionally, to understand people, ethnographic research was an important tool to uncover conscious and subconscious behaviors in the real world. Thus we set out to observe people at bus stops and train stations to see what they do during waiting periods as well as any interactions with digital devices. This activity was important because it helped further support what we learned about the role technology plays on behaviors. We noticed that attention was heavily divided between smartphones as people went about their day. We observed people pull out their phone and put it away, only to pull it back out a few seconds later. These subconscious behaviors bolstered our stance that technology should not further isolate people from their surroundings. We formulated a short set of interview questions based on our area of focus and set out for short interviews with people on the street. Our goal was to obtain a diverse sample of people to get different perspectives on how they interacted with their phones or different forms of technology. Analogous research was also performed at the Bury Arcade Club, where we observed gamers enthralled in multiplayer games. This helped us draw connections between the social engagement that is inherent with gaming and compare it with the social aspect of sharing and consuming digital media. Through the observations at the arcade, we quickly realized that the most engaging games were fun, social, competitive. To help find participants for in-depth interviews, we used a tool called Screener that posed the questions “What do we want to find out?” and “Who can answer this for us?” This tool was crucial in helping us converge upon our target audience: single adults aged 18-30. We created an interview guide that sought to find out how technology and media help build relationships, and how people defined meaningful relationships. Overall, we conducted five in-depth interviews via Skype and two in-context interviews at the interviewee’s home or office. In particular, our in-context interviews provided extremely valuable insights, and being able to interact with the participant in their home allowed for a conversation that flowed freely and comfortably. In accordance with our topic of study, we found it was during this genuine face-to-face interaction that a meaningful discussion was built. The use of open-ended questions helped in getting insightful and authentic responses by breaking down barriers and allowing the participant to speak freely. People defined meaningful relationships as ones built on trust, authenticity, and acceptance. People find that meaningful relationships are built in person and supported digitally. People prefer content recommended by friends, family, or influencers because it is more relatable. Despite preferring content recommended by friends/family, most people still appreciate and primarily use recommended content from platforms like BBC or Netflix. Our interview wall in which all important/relevant information was downloaded. We began to see a few common threads in our findings. Connecting in the physical world. These areas are all supported through insights from our interviews, which reveal that sharing experiences creates common ground between people, which in turn leads to more meaningful relationships over time. The opportunity we found for the BBC was that Object-Based Media should promote social interactions through shared media and experiences in the physical world. Using research on the impact of Internet of Things, we saw a world in which the physical and digital were connected. With this in mind, we completed a few rounds of ideation and built upon each other's ideas through a tool called Round Robin. Our team pitching our findings at the BBC. Now that we have identified an opportunity area, the next steps would be to conduct further testing to see whether our idea could seamlessly integrate into the lives of our user. A short term objective would be to test whether it has value by personalizing an experience by connecting them to new media or physical objects while on the go. A long term objective would be to test how this experience impacts their lives and society on a grander scale. Upon reflecting on this experience, I realized that user interviews take a fine balance between facilitating a conversation, and being sure to remain neutral and adhere to the discussion guide. Even though my role was the transcriber, I found myself agreeing enthusiastically with statements I aligned with, and occasionally had to suppress the urge to excitedly ask leading questions or to voice solidarity. Overall, I believe our interview was successful in achieving empathy through three phases proposed by Edith Stein: (1) perceiving someone’s past experience, (2) getting pulled into the experience and standing with the person, and (3) withdrawing with a richer understanding of the person and their viewpoint. However, it is important to take on this perspective of the other person while being careful not to insert bias. From the beginning of our project, we practiced integrative thinking as proposed by Tim Brown of IDEO. He claims integrative thinkers “know how to widen the scope of issues salient to the problem” and “ resist ‘either/or’ in favor of the ‘both/and’ and see nonlinear and multidirectional relationships as a source of inspiration. As a consequence of going extremely broad and considering many perspectives, we had to continually find ways of “organizing complexity” and “finding clarity in chaos”. Unlike other, more observable, aspects of the design process, synthesis is often a private activity in which the designer incubates the material during reflection. Due to this processing time, our team found it difficult to narrow down the scope of our research. Oftentimes we would continue divergent research in an effort to uncover the light bulb moment that would determine the course of our project. I personally found this enjoyable because I saw value in understanding a wide breadth of knowledge before analyzing specifics. However, in future practice, it is important to be mindful of deadlines and narrow down the topic sooner.